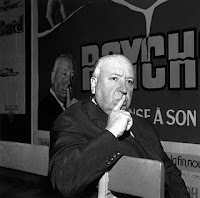 It goes without saying that Alfred Hitchcock’s PSYCHO (1960) needs no introduction. Not only is it one of the cinema’s most well-known horror films, it is also one of the most culturally significant films of all-time. Films students still study the effective editing execution displayed in the legendary shower scene some 50 years after the fact. And mention that you plan to stay at the Bates Motel with mother and chances are 9 out of 10 people will know what you are talking about. In 1992 it was the second horror film (behind James Whales’ FRANKENSTEIN  in 1991) to be deemed “culturally, historically, or aesthetically significant” by the U.S. Library of Congress when it was placed in the National Film Registry. 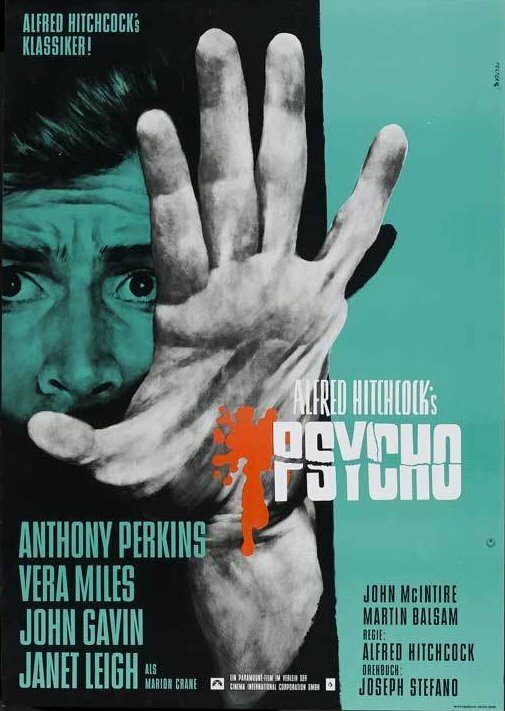 In addition to worldwide success both in the public consciousness and at the box office, PSYCHO is unique in that it is one of the few films in history to receive a direct sequel 20 plus years later, resulting in a brand new and successful horror franchise. 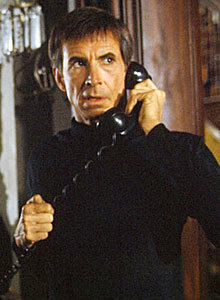 The sequel PSYCHO II debuted almost 23 years to the day after the original film and proved to be a box office success. 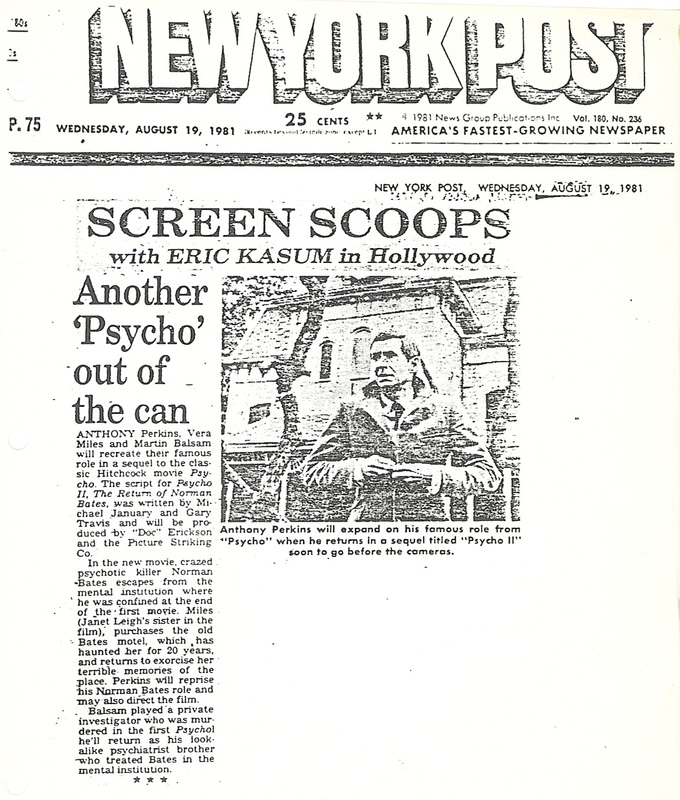 Subsequent sequel films (PSYCHO III hitting theaters in July 1986 and PSYCHO IV: THE BEGINNING debuting on cable in November 1990), sequel novels (Psycho II and Psycho House, both by original author Robert Bloch), a television pilot BATES MOTEL (1987) and the ill-advised 1998 remake by Gus Van Sant proved the undying popularity of Norman Bates. 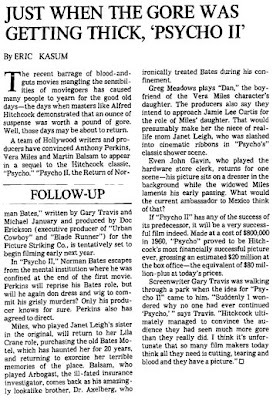 Lost in the PSYCHO history, however, is an earlier sequel attempt that existed before all of those. Before Bloch or Universal dreamt up the further adventures of America’s favorite madman, two enterprising screenwriters came up with the idea first. 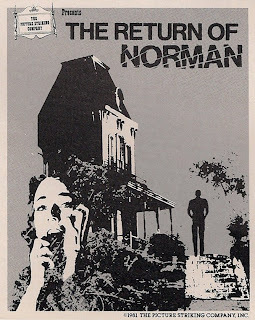 In the world of PSYCHO trivia, PSYCHO II: THE RETURN OF NORMAN BATES is a ghost that barely exists. 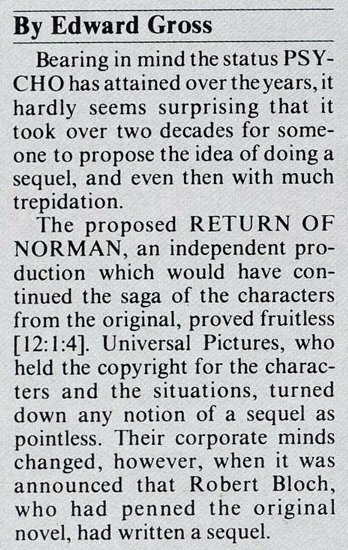 Outside of a one-page article in Cinefantastique and a mention in Starburst (obviously culling their info from the former), mentions of the project in the genre press are as hard to find as one of Norman’s victims at the bottom of the swamp. It was the original Cinefantastique article by Kyle Counts published in early 1982 that piqued my interest. 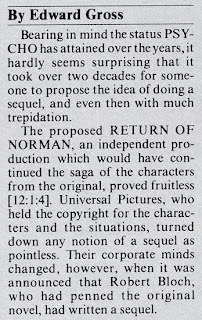 As written by Counts, the project – then simply titled THE RETURN OF NORMAN – came off as nothing but a knock off attempt by a couple of Hollywood neophytes to cash-in on Universal’s impending sequel. The reality, however, couldn’t be further from the truth. Using the magic of the internet, I was able to contact co-writer Michael January (thank goodness for unique names) about the project. Gracious beyond all means, Mr. January took time to go through his files and give me his end of how he tried to reopen the Bates Motel for business. 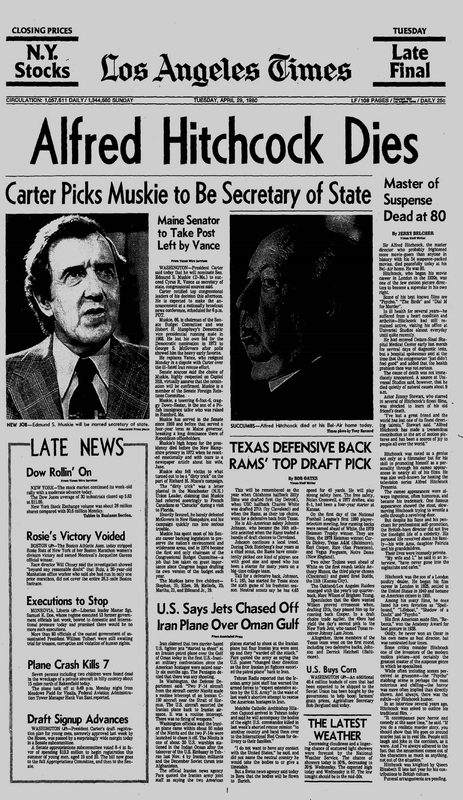 The cinematic inspiration would soon be in the news as Alfred Hitchcock passed away in April 1980 at the age of 80. 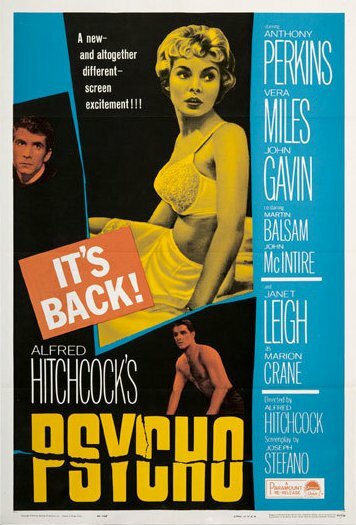 It was around this time that Travis began to wonder why no one had done a sequel to PSYCHO, one of the most successful horror films on record. 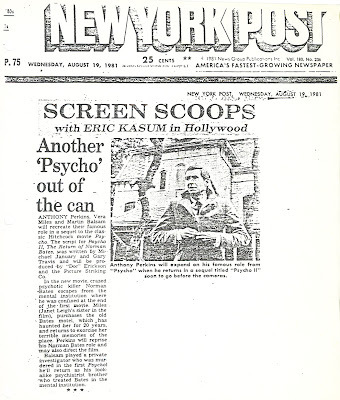 “I agreed to write a sequel script to PSYCHO with Gary,” January discloses, “with the thought we had pretty much had one place to take it, live or die.” With the horror market in another boom period thanks to films like John Carpenter’s HALLOWEEN (1978) and the recently released FRIDAY THE 13th (1980), the screenwriting duo set out to update the world on the further exploits of Norman Bates. Their initial story for the sequel was registered with the Writer’s Guild of America in August 1980 and the first draft of the screenplay was registered a few months later in October 1980. Like the eventual sequel that Universal produced, the screenwriters wisely chose to treat the decades since the original as “real time” in their follow-up. “There is a fire at the mental institution and Norman Bates is presumed dead, his remains are identified by teeth,” January reveals of their sequel. (Interestingly, Bloch would use a similar plot device in his unrelated Psycho II novel a few years later.) “Lila Crane buys the motel to exorcize her demons and refurbishes it,” he continues, “But people who come to stay, some drawn by its notorious history, begin to disappear. Actually, Norman has escaped and taken up residence in a hidden cave behind fruit cellar beneath the old house where he’s re-taken up his taxidermy hobby.” Also interesting is that the script – like the eventual PSYCHO II – introduced Lila Crane’s daughter having a pivotal role in the proceedings. And Travis and January had some clever casting concepts for their sequel. 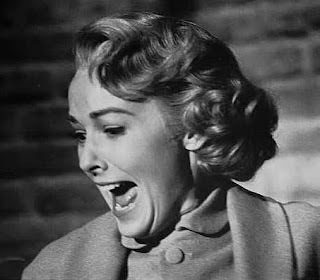 “We intended for Jamie Lee Curtis [real life daughter to original PSYCHO victim Janet Leigh] to play Vera Miles’ daughter who comes to visit from college and meets Norman, mistaking him for the man her mother told her she’s has been seeing.” And the character Lila would be seeing would be a psychologist, a new role written for Martin Balsam, PSYCHO’s ill-fated private eye. With script in hand, Travis and January went about to drum up interest in the sequel. Their first plan of attack was to attract the original PSYCHO players. “Vera Miles was in town doing a play,” January says. “I went and approached her. She was very nice and I gave her the script. She got back to us that she liked it very much and agreed to do it. She was pretty much the main character.” A similar process occurred where they got the script to New York-based Martin Balsam, who was in town shooting a film, and he also agreed to do the film. Of course, the biggest casting coup would have to come in grabbing the interest of the titular character. “We knew that Anthony Perkins was interested in directing,” January divulges. 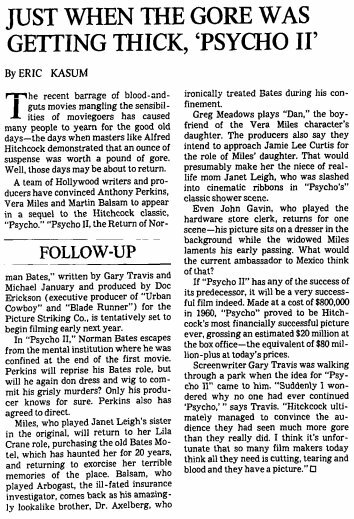 “We got the script to him and suggested he could direct it.” The appeal of getting behind the camera (something Perkins would eventually do on PSYCHO III) indeed seized the actor’s interest and he too attached himself to the project. With an appealing film package in their grasp, Travis and January set about setting up production via their Picture Striking Company. 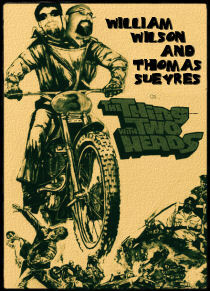 “With three stars agreeing to do the film, we also attached a major line producer, C.O. “Doc” Erickson (CHINATOWN, BLADE RUNNER),” January recalls. “I’ll mention those names because they’re in the press article. We had a top Hollywood entertainment attorney submit the project to a production executive at Universal. Now, here’s where it gets interesting.” Indeed, after a fast-and-furious period of courting stars, the team presented their film proposal to Universal in the fall of 1980. After that – silence. 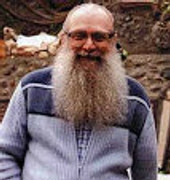 Six months later, the team finally heard back from Universal Feature-Production Vice-President Verna Fields, who moved the film up the production chain, indicating the company would be interested in taking another trip to the shower. Hollywood then did what Hollywood does best – it clogged the production path with endless discussions between agents and executives that dragged on for months. “From some of the letters I have, the discussions with our agent and the studio were bogged down,” January tells of the negotiation process. “Tony Perkins called Gary wanting to know what was happening. Gary was frustrated and began to think of trying to take the project elsewhere and asked Mr. Perkins how he would feel about that. 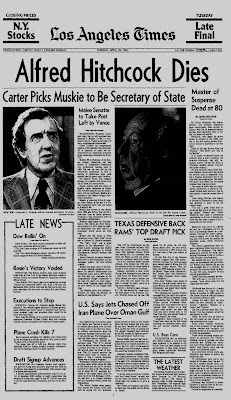 Apparently he was ‘delighted,’ having had unhappy dealings Universal’s ‘Black Tower of Torture’ on other occasions.” Meanwhile, blurbs about the PSYCHO sequel with its all-star reunion cast appeared in entertainment columns on both coasts in August 1981. Ultimately, the project was abandoned with January and Travis going on to other screenwriting projects and then January going out on his own as a solo screenwriter. While not the most comforting outcome, both men did receive confirmation that their initial idea of a PSYCHO sequel was a valid endeavor as the eventual Universal sequel was a success. It is a lesson and story heard often in Hollywood and January hopes to write a book about the harrowing tale of execs, agents and studio deals that would drive anyone mad. And, after all, we all go a little bit mad sometimes, right? Fascinating! I adore the film Psycho II but this is a really good concept for the sequel. Interestingly enough, Universal also wanted to cast Jamie Lee Curtis as Lila's daughter in their sequel, but I believe she refused to do it. Excellent article. I've been trying for years to find a copy of this script as research for a book I'm writing about the Psycho films. 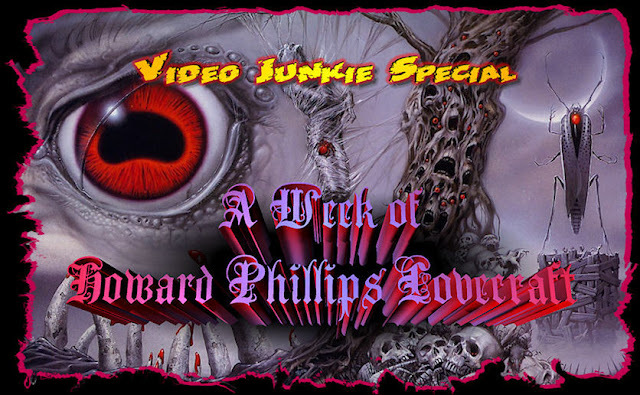 If anyone has a copy--or knows Michael January and can put me in touch with him--I'd be extremely grateful if you could please contact me via the Web site below. Thanks, folks! Thank you for the kind words about the piece. 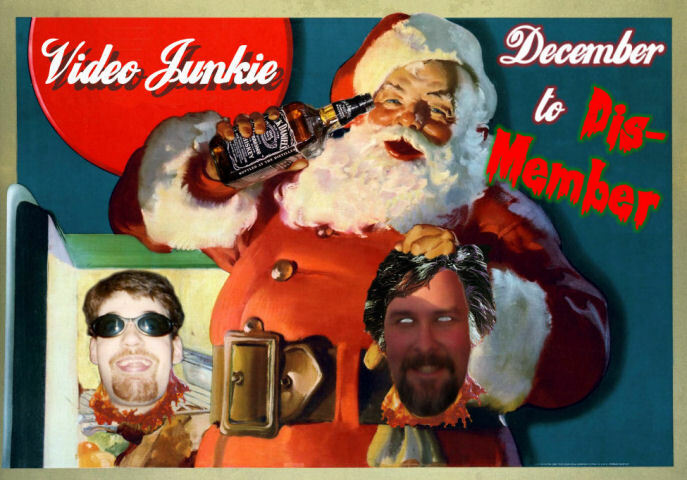 I sent Mr. January an email with your message, so hopefully you will hear from him.